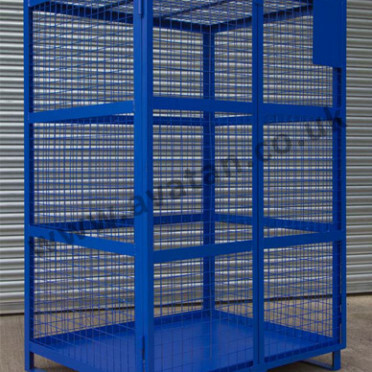 Ref: Ministry of Defence style DS4 Cage Pallet. Size: 1220mm x 1015mm x 1020mm overall height. 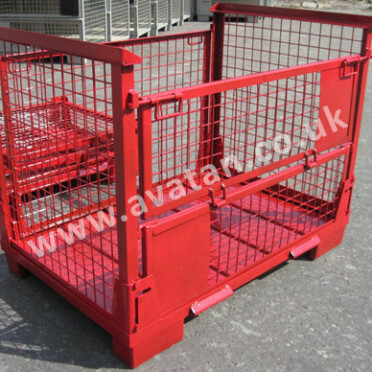 DS4 Cage Pallet with removable gates on all four sides. 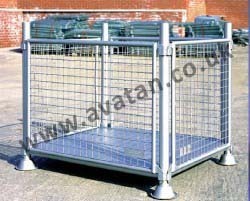 Manufactured in the style of heavy duty MOD Cage Pallets. 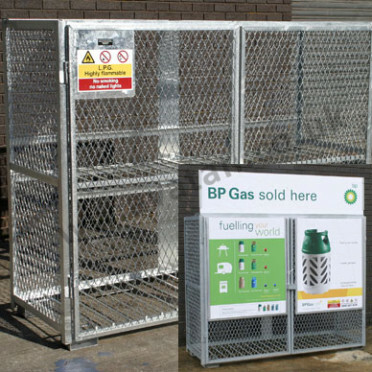 Robust stackable steel stillages with strongly braced steel base, fixed corner posts fitted with gate lugs, and supplied with a set of four mesh removable gates. Manufactured mainly from square box section. Until recently this item has been routinely available from second hand stocks, mostly in round tube, but is now seldom available. 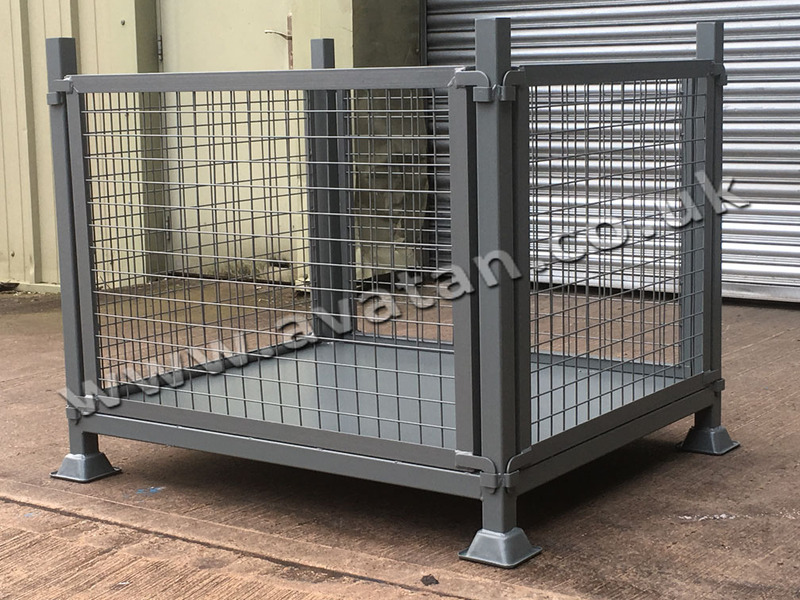 These new cage pallets are designed to be entirely interstackable and the gates interchangeable with the original design of MOD stillages. Finished in blue, red, green or grey air dry paint. 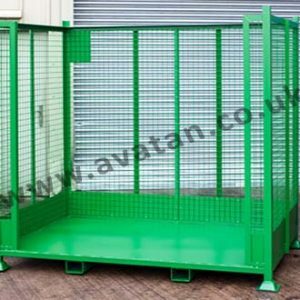 Other sizes of DS4 cage pallets are also offered.